Why you buy "IndexUP v1 - 3,000 Verified GSA QualityBlog Comment Links"? 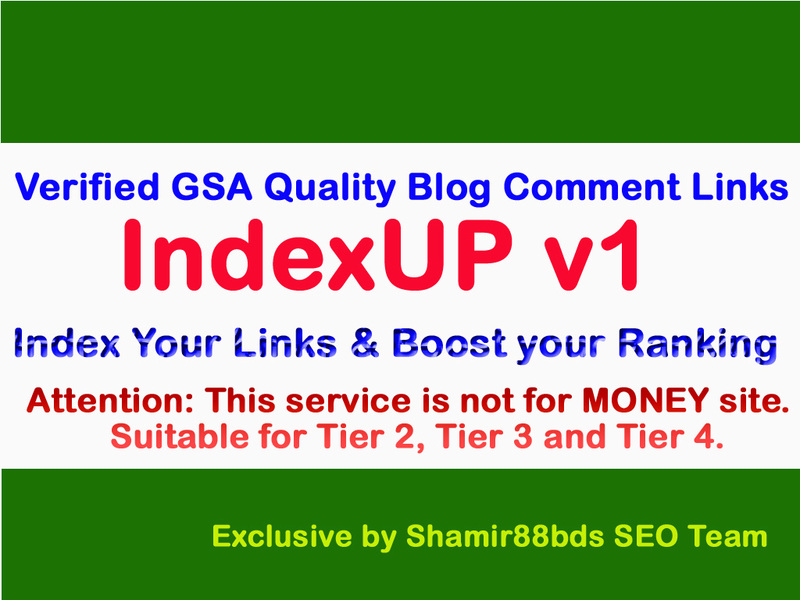 IndexUP v1 - 3,000 Verified GSA Quality Blog Comment Links is ranked 5 out of 5. Based on 1 user reviews.